I love guide books: travel guides, photography, writing, card making, etc. So soon after finishing grad school, I wanted to find one that would tell me all the big and little things I should know about the real world. Yeah, I know many of it is common sense and figuring things out on your own, but if there was something that would detail as much of it out for me before I went out and "learned from my mistakes," then I wanted to read it. 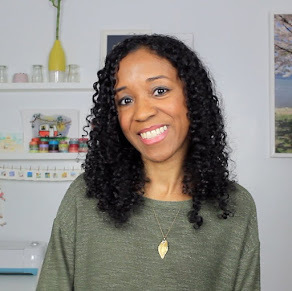 I wanted to know about the appropriate attire for different situations, how to manage a new relationship and my old-school parents, how to handle a new job and my finances and, later, how to apartment hunt. Oh, and I wanted it all in one book and didn't want to be bored to death with all this info. Enter The Girl's Guide to Absolutely Everything. When I found this book, I got just what I needed. It even included stuff I didn't even know I wanted to know. The info is presented in a fresh and fun way unlike the other snore fests found in the self-help aisle and has practical tips you'll actually use. (Actually I hope I never have to unclog an overflowing toilet. Ew.) In fact, I loved it so much I bought several copies to give away that following Christmas. And from what I hear, my friends enjoyed it just as much. It's so handy and even though I doubt you'll read it from cover to cover right off the bat, it's a great resource to flip through and search for any answers you need. I still go back to mine when I have a random question (like how long will that produce last in my fridge). 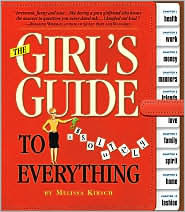 Author Melissa Kirsch asked all the women she knew, "What do you know now that you wish you'd known right after college and in your 20s that would have made your life a lot less difficult, spared you heartache, generally made the transition to life on your own a heck of a lot easier?" This book is their answer. This week, I'll be giving away a copy of this book to a random winner! Just answer me this: what do you know now that you wish you knew 5, 10 years ago? And if you follow or subscribe to this blog, you'll get extra entries (but you still have to comment first). A winner will be announced tomorrow night. CONGRATULATIONS: Odessa is this week's winner! I've seen this book at Barnes and Nobles...I'm going to take a closer look next time, it sounds good. There isn't enough room in this comment box to list the things I wish I knew then that I know now! Back then, I wish I trusted my gut more (which I do now)! NO FAIR!! YOU GAVE ME THIS BOOK ALREADY! if i think of anything good ill answer your question later. I know that the little things don't really matter. I don't want to be in the contest - as to what I wish I knew 5 and 10 years ago, outside of things that hadn't happened yet (like the future Derby winners and the stock market collapse) which a book couldn't tell me - I'm think I would have liked to know how to say somethings to some people that I found so difficult. Things like asking for help and saying "thank you for helping me" afterwards - and "I love you" to my folks, family members and others. May you never need to unclog a toilet. "If you love life, life will love you back!" I know that now and I make it a great day everyday!! I truly wish I would have known more about men...like you should let them beg for forgiveness instead of being weak and letting them back in the moment they looked cute at your door, showed up with flowers, or ...you were horny. I wish i knew that in college answers are not given to you...( and i don't mean cheating)...i mean if you have questions you have to go and find the answers yourself...I was so babied in high school..just speak to a certain teacher and everything would be done for you...in college you can ask a million staff members and they'll send you to another one and yet another one...before you start school get to know the campus because more likely than not you're gonna get the run around and have to explore it anyways. its a nice head start to know what building houses what offices and what departments. Let's see...10 years ago, I was 18. I wish I knew then not to worry so much about what people thought of me. Standard, I guess, but true! What a great book! Let's see, 5 years ago, I was 18. I wish I'd known that I didn't need to decide my whole life plan right then-- I spent so much time stressing over the direction of my life (something I thought I had to know right then!). I wish I'd known to slow down and soak in life while it happens. I wish I'd known how much consistent regular exercise can help with anxiety! Sounds like a great read!! 5 or 10 years ago, I wish I had known to communicate better with my parents. That sounds like such a fun book! I wish I would have known in the past how important it is to stand up for yourself. That also goes in to my best words of advice-marry an orphan, so you never have to deal with the in-laws! I am saving that one to add in my own self help book! LOL! My words to live by: Be kind, and be kind to yourself too. Time passes so quickly so notice the details of each day. Great blog! Just stopping by from SITS. Have a great day! hmmmm....5-10 years ago, i wish i wasn't so concerned about what other people thought of me. also, i wish i had already started a fitness routine and was more comfortable with my body. I wish I had known not to sweat the small stuff. It SOUNDS simple but it's important!! Thanks for popping by to say hi yesterday! I would have wanted to know several things. No, it's not normal for a man to continually holler at you. No, you're not going to live forever but you will live longer than you expect to so plan ahead. Just the time you give up looking for something, that's when it'll appear. I'm also with Jeannie on that one. Do pay attention to the little things, but don't sweat them. Okay, I can now comment here. :) Financial stuff. That's what I really needed to have been told about. But really? I wish I would have had the "brains" to know what to ask about. I just floated for way too long without really inquiring about why, how, what, and who. If I see a floater, I will tie a string to their heels and try and help direct them. You know, in my old age and wisdom. Ha!